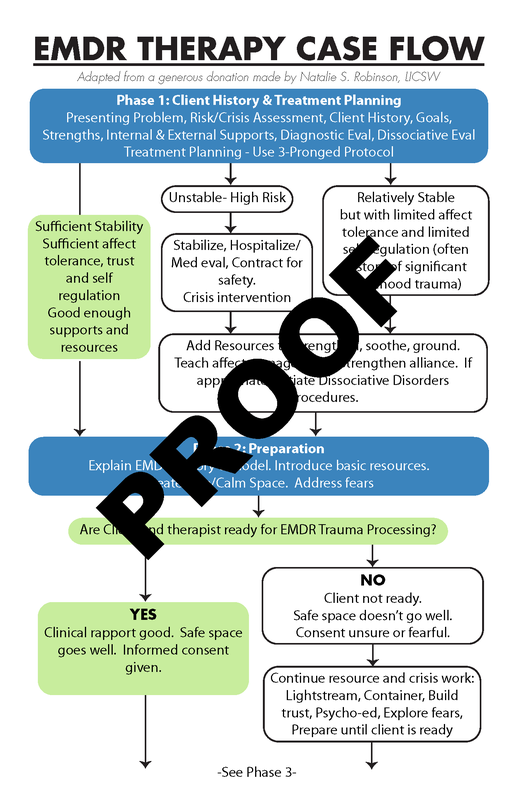 Revised and reformatted in 2015, this handy decision tree enables clinicians to easily find where they are in the EMDR therapy process, and make a choice about the next step. It is a proven tool to help clinicians effectively implement all 8 phases of the model and a great guideline for the procedural steps. Copyright Trauma Recovery HAP Store. All Rights Reserved. Hosted Ecommerce by 3DCart.